Avid travelers have probably heard of space-saving capsule hotels which are famous in Japan. For those who don’t know, capsule hotels feature basic accommodation for hotel guests who do not actually need the services offered by conventional hotels or luxury resorts. This concept is widely developed in highly populated countries, such as Hong Kong and Japan. Capsule hotels are not unheard of in Malaysia. There’s one in Kuala Lumpur International Airport (KLIA2), Sepang and another in Jalan Pudu, Kuala Lumpur. 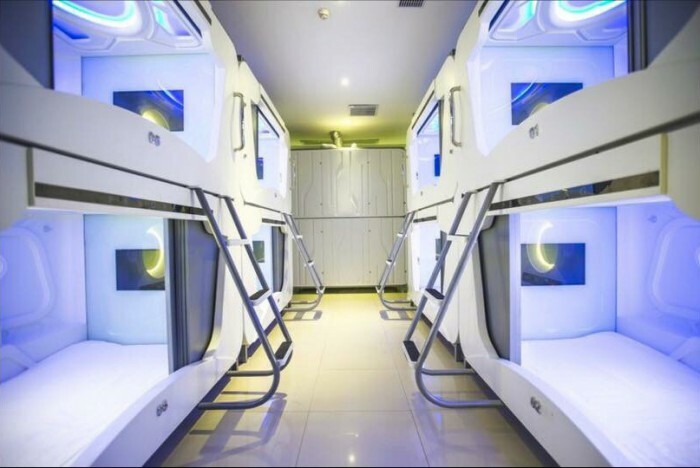 However, a capsule hotel called Time Capsule Hotel has recently launched in Penang and just by looking at their pictures, it’s easy to see why this particular one stands out from the rest. Looks like a room straight out of Futurama. The CEO of Time Capsule Hotel, Steve Low was working in the agricultural machinery business and gift chain store prior to his hospitality career. Born in 1981, this young Malaysia hotelier started his hospitality journey in the year of 2005, with only 1 budget hotel with only 25 rooms. 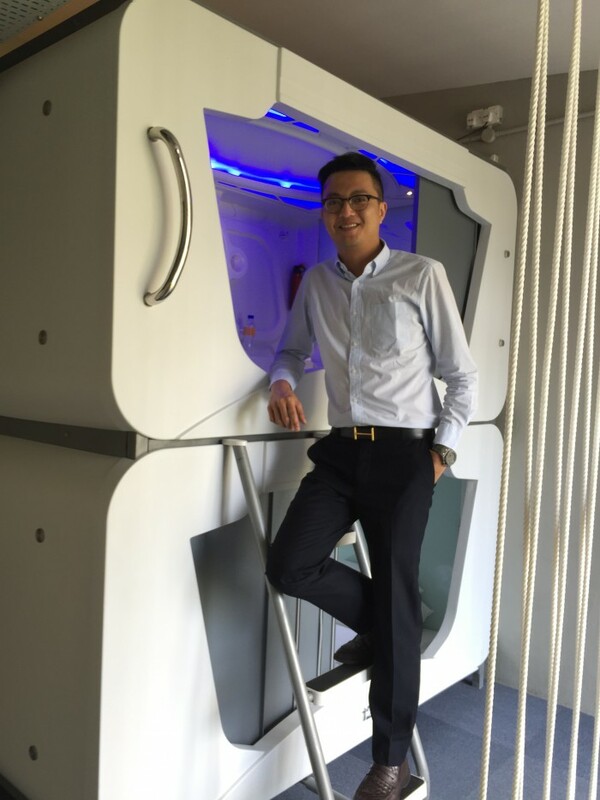 Time Capsule Hotel’s CEO Steve Low. Today, he is a successful businessman and his hotels chain, namely T+Hotel, has grown to 8 branches with 700 rooms — and Steve has no plans of stopping. According to Steve, he is working on increasing the number of rooms by another 500 in 3 years time. “I’m an optimistic person, as long as I believe in myself, I can achieve what I want somehow, someway and sometime. As a hotelier, I provide not only room but the environment and experience,” he said. 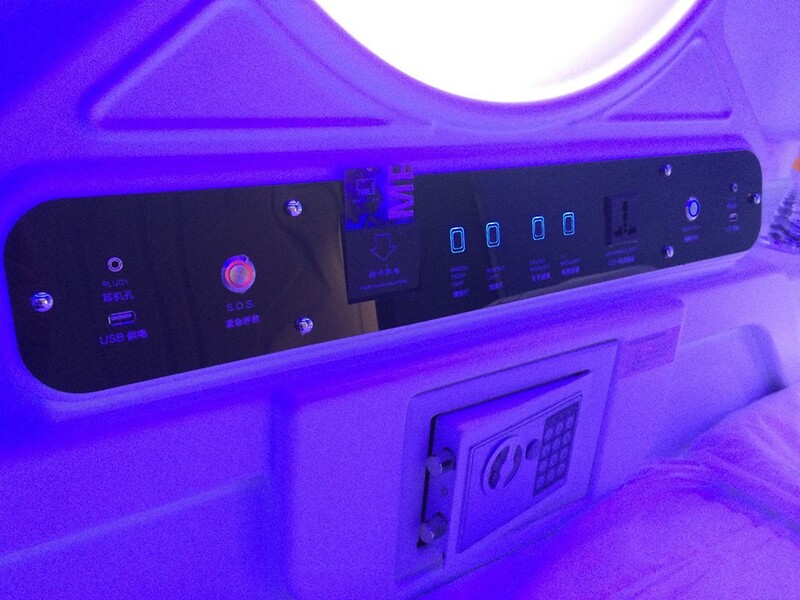 Speaking of the inspiration behind Time Capsule Hotel, Steve mentioned that he was skeptical initially towards capsule hotels. Nevertheless, he still decided to give the idea a try, and Steve glad he did because after staying in a capsule by himself, he fell in love — or as he puts it in Mandarin, ‘不能自拔’, which basically means that he was obsessed and was completely convinced of its concept. The hotel consists of three floors housing 100 capsules, and it also comes with self-service laundry room, a common room cafe and beer garden. As a traveller himself, Steve said that finding a comfortable and cozy hotel is always an issue because it’s quite impossible to get such an accommodation with a less-than-RM100 budget. 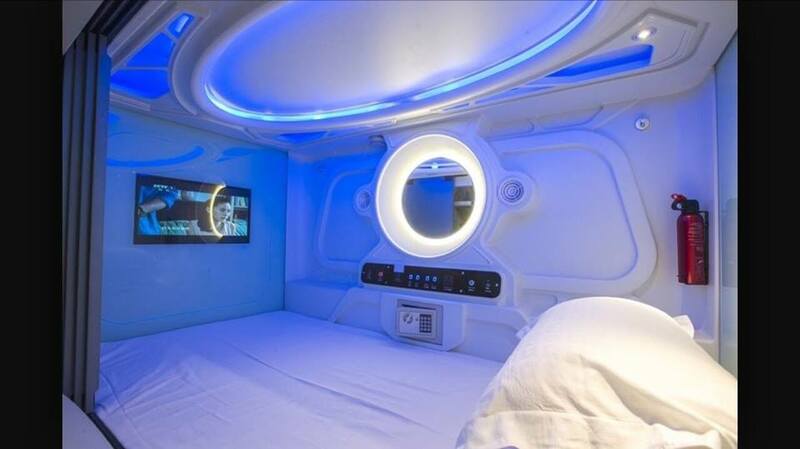 Steve told The Star Online that they were getting bored of providing conventional hospitality, which was also the reason that prompted him to start space-capsule hotel business. Strategically located along Chulia Street, which is a backpacker heaven in Penang, with less than RM100, each guest will get to enjoy their very own capsule with a built-in safety box, adjustable aircond, high speed Internet, USB charging, basic amenities, and earphones. Hotel guests can rest and sleep well in their cozy capsule with all the things that they need within reach. Being an entrepreneur means you’re your own boss. To start a business from scratch, things can be overwhelming. For instance, initially they planned to launch the Time Capsule Hotel in December last year, but during the renovation process, they found a colony of termites in the building. As a result, they had to go through about 100 other properties to look for a new place. Sacrifices had to be made too during his entrepreneurship journey. Steve jokingly said the reason he isn’t married at his age is that he is a ambitious businessman. In this case, it’s apparent that the hotel industry is the right field for Steve—because he is even sacrificing his dating life for it, and that is something that not all of us can do. All images are taken from Time Capsule Hotel.